Get ready to cheer for the team! The proposed 30,000-seat open air Stadium at Florida Atlantic University in Boca Raton has received its first donation of $1.25MM from supporter SmileXpress, one of the largest teeth whitening dental spas in Florida, located in Boca, Ft Lauderdale, Wellington and Aventura, with plans to expand nationally. The funds will be forthcoming over ten years and are for a sponsorship, scholarship dollars for the athletics department and philanthropy that will assist with the construction of the open-air football stadium, slated to be completed in the fall of 2010. FAU’s plans include an “innovation village” around the Stadium with 5 apartment-style residence halls, 130,000 sq ft of retail and commercial units and a multi-use Convocation Center for the basketball program. 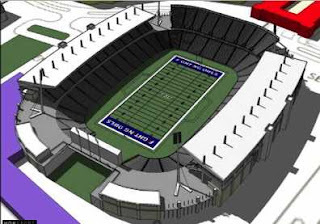 Future seating expansion is possible, and a roof can be added. Total cost estimated for the stadium is just under $100-MM, with funding from private donations – no public funds including tax revenues are expected to finance the stadium. It will be located just north of the Breezeway on the main campus, adjacent to the burrowing owl sanctuary. The FAU Owls football team will be using the Stadium. While stating that individuals car sales could set world sales records, a Barrett-Jackson VP stated that the current auction is an all no-reserve event, which is a direct reflection of the marketplace, with some car collectors wanting to liquidate their four-wheeled assets, particularly if they have taken out a 2nd mortgage and their home's value has dropped. Late '50's and '60's big cars have rapidly appreciated. 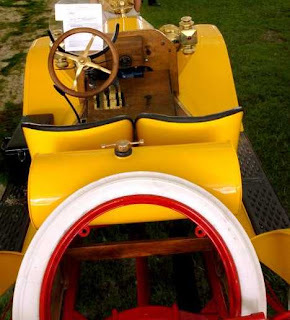 For sale is a restored 1911 Model T Roadster (pictured here), one of the 520 cars up for bid. A 2006 baby-blue Lamborghini with 17,000 miles on the odometer is up for auction at $180,000. When new it cost $246,000. On Sunday, after several days of auctioning, the automobilia auction will start at 10:30 am and a car auction from 10 am to 9 pm. Click here for more information. Bring your blanket or lawn chair and enjoy the new outdoor theatre! At 6 pm Saturday, three local high school groups will perform during a grand opening celebration. Fireworks and food vendors will be there too. This is the first phase to open in the South County Regional Park expansion. The amphitheater includes a 1700 sq ft stage with state-of-the-art lighting and a grassy area that can accommodate up to 3000 people using lawn chairs and blankets, referred to as “festival seating.” You’ll be able to enjoy live music, theatre productions and out door movies at future amphitheater productions. Later picnic shelters, a new dog park, playground, boat ramp and additional restrooms and parking will be added. Located at 12551 Glades Road, about 2.4 miles west of US 441. For further information call 561-488-8069, the Event Hotline. To access calendar click HERE. Go to www.celltradeusa.com or www.cellswapper.com. You pay about $20 and the person who adopts your phone gets a short contract without an activation fee. 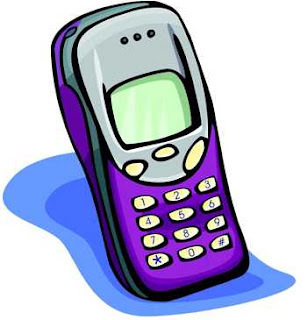 Contact your carrier first for approval, and if you want to keep your old number, you’ll have to arrange that as well. The 2008 fiscal stimulus package, according to Lawrence Yun, NAR Chief Economist, should provide a much needed boost to the real estate market. Yun says that the tax rebate is needed to compensate for very high oil prices and the falling stock market. The former, he says, is caused in part by the US having a higher inflation rate than other countries which causes a weaker dollar. When oil prices rise, that fills the coffers of Russia, Venezuel, Saudi Arabia, Nigeria and Iran, transferring money from a democratic country to a non-democratic country. A higher loan limit in Los Angeles, Orange and San Franciso counties, from $417,00 to $729,000 will give the housing market a lift in those areas. Inventories go down and home prices strengthen as sales rise. 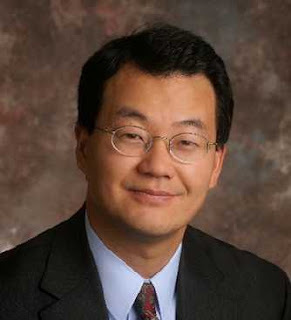 Lawrence Yun received his undergraduate degree from Purdue University and earned his Ph.D. from the University of Maryland at College Park. He is Managing Diretor of Quantitative research at the National Association of Realtors where he manages the Statistics and Forecasting Groups of the Research Division. Yun writes columns on real estate market trends, creates NAR’s forecasts and participates on many economic forecasting panels, including Blue Chip and Harvard University Industrial Economist Council. Though the economy for the entire nation is sluggish now, many economists are expecting a rebound by the second half of next year. WANT TO PAY OFF YOUR MORTGAGE AND STAY IN YOUR CONDO? In response to several questions from couples and individuals about how to stay in your permanent residence AND lower your budget by paying off your mortgage(s) without making additional monthly payouts, you may be eligible for a reverse mortgage even if you still owe money on a first or second mortgage. In fact, many seniors get a reverse mortgage to pay off mortgages. You need to be age 62 or older. There are NO INCOME OR MEDICAL REQUIREMENTS TO QUALIFY. No change of title, no taxes on proceeds, no repayment for as long as you live and reside in the house, until it is sold. When sold, you or your heirs receive any appreciation up from the value at the time of a reverse mortgage. WITH THE HOUSING MARKET PRICES LOW RIGHT NOW, appreciation is a strong possibility in years to come. If the value of the house declines, you do not have to pay up the difference. In order to qualify for a U.S. Government-insured reverse mortgage, you must receive reverse mortgage counseling from a counseling agency that is approved and certified by the Federal Housing Administration (FHA). The counseling is a free safeguard for you and your family, to make sure that you completely understand what a Reverse Mortgage is, and what the process of obtaining a Reverse Mortgage is before you apply for one. Information about reverse mortgages. 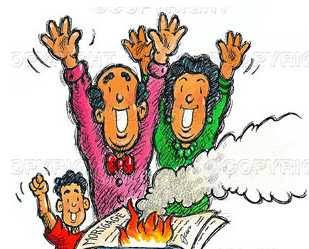 The Jumbo loans have been discontinued for now. The highest reverse mortgage amount is the lending limit in the county which is $369,700 but soon to be $417,000. Call Marilyn Jacobs, a Lic. Mortgage Broker, for a confidential appointment - 561-988-0070. “With Scripps Florida and the Max Planck Society both establishing world-class research facilities here, we are building the foundation for a knowledge-based economy.” Palm Beach County is recognized as a top pick for “Up-and-Coming Tech Cities,” and in scientific growth. Boca Raton is attracting firms, from biopharmaceuticals to stem cell research and storage, due to its solid business environment. Forbes list is called the TOP TEN HOTBEDS OF TOMORROW’S TECHNOLOGY. The survey considered specific pockets of science growth areas with “promising frontiers of innovation.” Forbes.com says that Palm Beach County is “becoming a haven for cutting-edge biotech and life science research.” More than 140 companies in the county are focused on discovery and advancement of drugs and pharmaceuticals, medical devices and equipment, research and testing. With strong collaborations among universities and pro-active assistance programs throughout the county, and philanthropic dollars, the area is thriving. Additional information can be found at www.bdb.org, the official public/private economic development organization for Palm Beach County and Enterprise Florida, a non-profit corporation founded in 1982 to attract and retain new industry, business investment, high quality jobs and workforce development. See Forbes says county number three in US. INVESTORS: A GREAT TIME TO BUY! Investors have started to GRAB GOOD DEALS while they can in this buyer’s market. The bad news for sellers means good news and opportunity for savvy buyers. Builders are making contributions to sweeten deals in the Florida condo market. LET MARILYN SHOW YOU THE BEST DEALS AROUND. 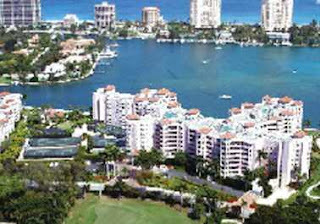 To compare recent sales, amenities, restrictions and size of complexes go to http://www.FLWaterfrontCondos.com. YOU WALK AWAY... FROM A MORTGAGE! The International Herald Tribune’s 2-29-2008 headline “Faced with mortgage default, some U.S. homeowners walk out” will lead you to this site, which results in walking away from a home and mortgage and ceding the home to a bank in foreclosure: http://www.youwalkaway.com/ . The house then becomes the lenders problem, and the former homeowner might be able to rent a property for less than half the cost of their mortgage they left behind. According to the article, while in some states banks have recourse to sue borrowers for their losses, it is usually not done because the process “is costly and “people’s nonhousing wealth tends to be pretty slim”. For a copy of the article, email marilynfjacobs@gmail.com. According to the founder of You Walk Away, which opened for business in January 2008, the company’s services are not for everybody and were meant as a last resort. Those finding themselves having to choose between a car payment and their kids’ health insurance or paying a ballooned mortgage may have an alternative now, and may feel that over the coming years their income will go up and their credit will improve while, in the meantime, they rent instead of owning a home. Mizner Park shops and restaurants are hosting signature members of The Artists’ Guild with works including paintings, mixed media, photography, glass works and other art forms will be seen as visitors stroll the park. Artists will be in attendance, and viewers can talk with them. Eric Allison, renowned jazz saxophonist, will complement the event with his music. Enjoy dinner at one of the Mizner Park eateries and then browse and enjoy! for each 12 month period owner can only use property for the greater of 14 days or 10% of the days rented. WHAT IS THE DIFFERENCE BETWEEN MORTGAGE PRE-APPROVAL AND MORTGAGE PRE-QUALIFICATION? Verification and Documentation explain the difference. Pre-Qualification is based on information provided by the buyer whereas Pre-Approval is given after receipt of copies of bank account statements, income proof (pay stubs) and income tax returns; other information may be requested as well. Neither are considered a mortgage commitment, but the more detailed Pre-Approval is preferred by sellers. 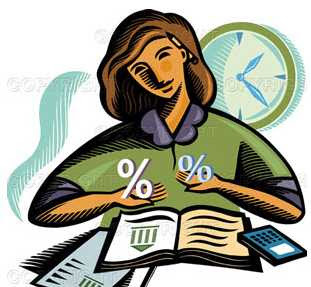 Pre-Qualification requires the borrowers name, address, phone number, date of birth and social security number with permission to do a credit check. Questions may be asked about annual income and what down payment the borrower can make. A letter is issued with an estimate of the amount of a mortgage for which the borrower can be approved, based on documentation verification, which may be described in the letter. The letter will also include a disclaimer, e.g., “subject to verification of employment (2 years of work history) / assets / credit review / charge card statements / mortgage underwriting guidelines” and the prevailing interest rate, which can be “locked in.” This serves temporarily as confirmation to a seller that a buyer appears to be able to afford to purchase their property. Underwriting criteria may include credit scores, work history, verification of income, qualifying income ratios, verification of where down payment will come from (e.g., brokerage or bank account or gift), cash reserves after closing. There may be information that has a negative impact on mortgage approval, including a borrowed down payment, inconsistent work history, unreported “cash” income, not enough assets for closing costs, and other issues. Now moved to their new location on Palmetto Park Road, a few miles west of 441 in the Shoppes of Logger’s Run, The New Vista Theatre Company in West Boca Raton has been nominated for five Carbonell nominations for two of its 2007 productions, “Funny Girl” and “Jacques Brel”. Performances are held at the West Boca Raton High School Performing Arts Center, 12811 Glades Road. During their Inaugural Season, 2006-2007, “A Funny Thing Happened on the Way to the Forum was nominated for 5 Carbonell Awards. They recently moved to Boca Raton from Davie. Actor Avi Hoffman heads the company. Upcoming productions include “I’m Not Rappaport,” May 1-18, and “The Big Bang,” June 19-July 6. Click here for dates and more information or call 561-482-4144. Group Rates are available, and website sales are 10% off. Show times are Thursday, Friday and Saturday at 8 pm, Saturday and Sunday at 2 pm and Sunday at 7 pm. Since 1976 Carbonell Awards have been given to Regional Theatre Productions. The Awards were created by South Florida’s arts critics and columnists. LOOKING FOR SOMETHING CULTURAL TO DO THIS WEEK? Ever wondered about the value of that pretty clock that has been in your shelf for years? 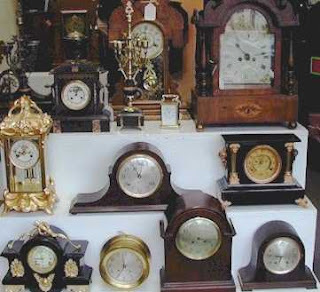 Bring your antique clocks to the Cornell Museum, Old School Square, between 1:00 and 4:00 p.m. for an informal evaluation by NAWCC members who are participating in the exhibit, Timekeeping through the Ages. For more information go to www.oldschool.org and see special events. 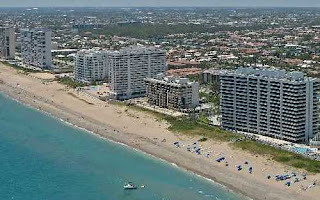 Go to http://www.palmbeachculture.com/DelrayBeach to learn about history, culture and more.